You Wouldn’t See a Fluttershy Bulldozed, Would You? Okay, just a warning, this might be my most radical post to date. Anyway, this all starts when I finally got around to watching The Lorax last week, and my first reaction was, “Why haven’t I watched this yet?” It’s my kind of movie, because it reassures me that not only are there people who are still trying to point out the cost of deforestation and sucking up resources like soda through a straw at the bottom of the glass, but I think it’s one of the best examples of what exactly is playing out in our world currently, in terms of these issues. One of the best things were the songs, which were catchy and spoke volumes (not just because they were loud and show-stopping practically in the Broadway sense). So naturally I looked the songs up on YouTube (you know, before I purchase them off of iTunes when I have a little more money, hehe), and I was reading some of the comments on them, because a film that touches on such a big current topic in our society is bound to have responses on anything associated with it, including lyric videos of the songs posted on YouTube. And I will admit that one of my favorite comments was declaring the Once-ler’s song, “How Bad Can I Be?” as good ol’ Mitt Romney’s theme song–and I believe it, quite frankly. I mean come on, there’s the lyrics, “How bad I can be?/ I’m just building the economy” combined with the implication of the whole song. Which led me to go Googling for what other people were saying elsewhere, and along the way I added a couple of my own comments when I felt the need to set a few people straight on interpretations (though, who am I to speak, really, I’m not Dr. Seuss, and I didn’t make this movie, but I feel personally that I have a few valid points). For example, there was one comment that seemed to interpret the Once-ler’s song as saying that rich people are bad, to which I said something along the lines of, that’s not what it’s saying at all. (Um, J. K. Rowling is quite wealthy, and I don’t think anyone in their right mind would say she’s bad. In fact, she’s REALLLLLLY GOOD.) The song, “How Bad Can I Be?”, in my view, illustrates getting rich off of a disregard for the consequences of taking and taking and taking and taking and taking and taking and taking…(this basically just goes on and on forever, because that’s pretty much the momentum we’re dealing with). I used mountaintop removal as an example of absolute criminal taking. Which got me thinking about ol’ Mitt Romney again, and his stand on the coal industry. So I went back onto Google, and got a hit from a website called The Lonely Conservative (link to page here)–and before any one blows the whistle on me, I have NO problem with people with conservative Republican views, and I respect those views accordingly. In fact, the article here references to the fact that a coal mine in Ohio was shut down, with a loss of 159 jobs, and soon afterward a natural gas plant was opened up, but with only 25 employees needed. So no, these transitions to new types of sustainable energies (though I’d like to point out that natural gas is still a fossil fuel). 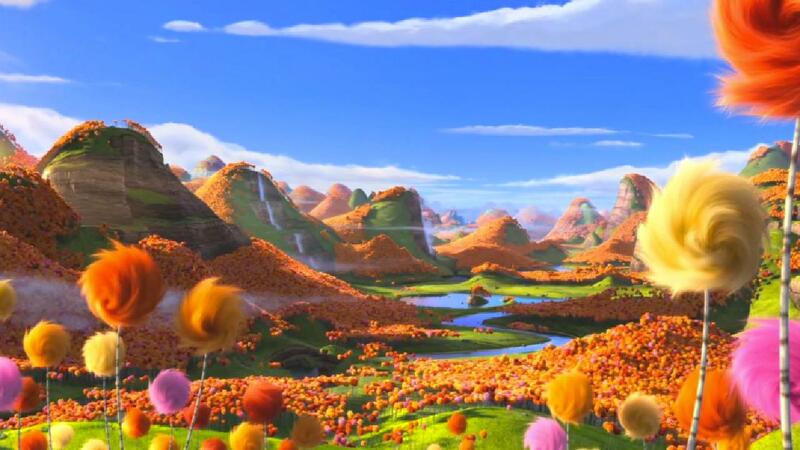 I just feel, that, like the Lorax, I (must) “speak for the trees”. This is a complicated issue, the whole “coal thing”. The first hit I got, as I said, was from this aforementioned site, with an article covering an event at which Mitt Romney spoke to a group of coal miners. I scrolled down to the comments, and really couldn’t read much more than one because I tend to bat at narrow-minded comments like flies, and at the same degree find them equally as annoying (like labeling efforts towards clean energy “evil”). I like to think that I am a person who is open to all kinds of opinions, and even unto that, I can understand the other side of the argument, that President Obama’s clean energy policies will destroy the jobs of many a coal miner. I KNOW what that feels like, to be afraid of losing your job, so believe me, I sympathize. While not all coal comes from mountaintop removal mining (which is an even greater crime against nature than strip mining, according to iLoveMountains.org), a percentage DOES come from it nonetheless, and unfortunately, the Earth can’t afford ANY percentage to come from it (actually I’d prefer no coal at all, but let’s not dive into that frizzball of harried debate–yet). But here’s why mountaintop removal is so terrible, even more so because somehow the coal companies managed to keep it something of a secret despite the noticeable results. Who in the name of all things green and good wants to live on a moonscape? Not me. I don’t live on the Moon, I live on Earth, where there are supposed to be TREES. And, as it would happen, The Lorax tells us this truth, that trees provide clean air (breathing out oxygen), and I would also like to add that at the same time, with the exception of certain species that don’t do one-hundred percent in polluted areas, trees also clean pollutants from the air (breathing in carbon dioxide–you know that stuff that’s contributing to global warming because there’s TOO MUCH of it?). I mean, do we really want to degrade ourselves to the point of buying fresh air out of a plastic bottle? To the point of buying air period? We are told that there are government regulations on corporations to make sure that what is taken is replaced. 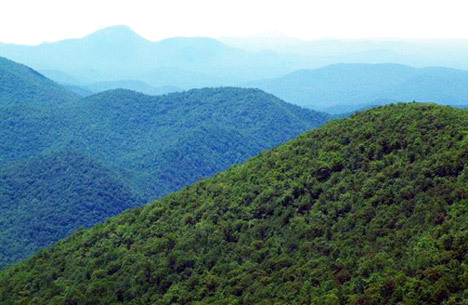 Not so with the mountaintop removal mining in Appalachia. These trees, after being bulldozed and burned away, are dumped in a valley, to waste and rot. And they are NOT replaced. The bare ground is blown into by explosives and dug into by a drag line to get at the coal seam faster with less workers. 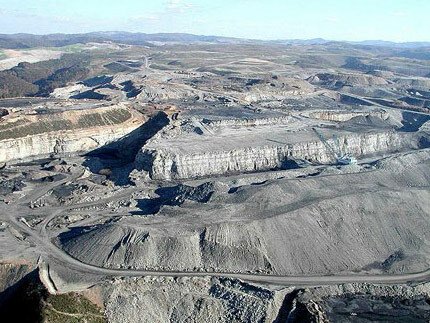 Which brings me to my next point: mountaintop removal is an operation that requires maybe about five workers per mine, at most, thanks to the drag line machine that does most of the work. So no, like the pipeline that was proposed to run like an eyesore through Alaska, this process does NOT create jobs. Or certainly not a wealth of them, as we might have suspected. Yes, there are legit coal miners like the ones Romney visited. And they’re legit scared to lose their jobs. And as I said before, I sympathize with their fears. Who doesn’t fear losing their job, especially these days? Even now? I work for a company that sells products made of leather, which is a byproduct of the factory farming industry (another huge contributor to pollution), and if the company were to be changed or shut down because factory farming was taken out of the equation, I would have no problem losing my job over that. As much as one worries about feeding oneself and one’s family and children, isn’t it a a bit pointless to do so if the industry one works for could potentially render the planet virtually uninhabitable? What’s the point of rescuing our children from starvation and homelessness, if in the end the work we to do to provide for them will simultaneously provide them with poisonous air, tainted drinking water, and tainted food? Or worse, FAKE food (because the real food’s so tainted). 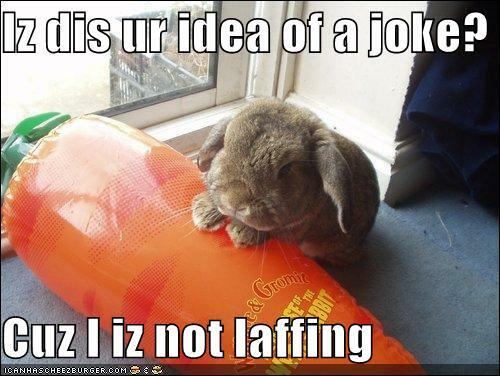 Would you rather eat a carrot, or a synthetic class orange root substitute? AND speaking of tainted water and food, if you read on iLoveMountains.org about the human cost, you will hear stories of Appalachian residents who have had their homes destroyed by flooding, their rivers and fish defiled by high mercury levels, coal ash spills, and “coal sludge” (“schloppity-schlop” as Dr. Seuss referred to such substances in The Lorax). They say coal miners are the backbone of Appalachia, yes? Well what about people who get their homes destroyed by flooding, the waters made toxic with sludge, the mercury-poisoned fish they can’t fish for to eat anymore? Do they get to speak for Appalachia? 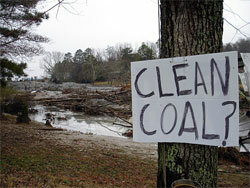 As for coal itself, I will just say this: bottom line, it’s NOT clean. It’s black, and it’s dusty. A common cause of death among nineteenth-century coal miners (and today still in some mines) was called “black lung” from breathing the stuff in all day. Not. Clean. No one ever got black lung from breathing in sunlight. 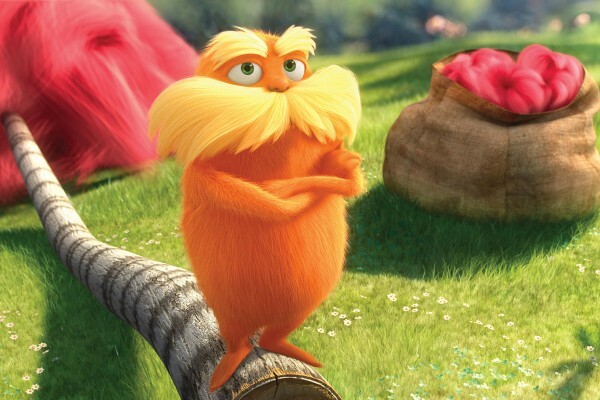 Which actually, side note: this PR business promoting “clean coal”, is very well brought up in The Lorax, when the Once-ler sings, “And the PR people are lying” and we see a poster made to look like the thneed (that’s costing the forest-dwellers their home) is “Lorax approved”. The bottom line here is that I had to say something, and I speak to those who follow my blog, both young and old, because this is a grave concern of the young. Do you really want to spend all that money on college (to which Mitt Romney also says, “Shop around” because only the wealthy deserve to have their unlimited pick of schools they wish to attend while the rest of us have to factor in the cost and “make do”) if you’re just going to be prepared for a future that may not be possible with all of this…ick in the air? Now granted, here on this page from AboutMittRomney.com, the governor states that “environmentalism need not be anti-growth and anti-jobs”, HOWEVER, it seems he still stands behind coal if he’s visiting coal miners to promote his campaign. So, make of that what you will. I’m not saying that you should vote for Obama instead. 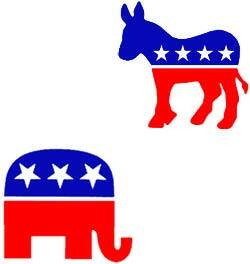 Nor am I necessarily saying, vote for anyone BUT Romney. I’m just saying what a vote for Romney could mean, considering where he seems to stand: though he did say he was in this presidential race to help American families, he also said he was NOT in this race to help heal the planet that American families live on (“Romney to Biosphere: Drop Dead”). Only YOU can decide whose name to check at the polls (or on the absentee card). If anything, think of chopping down these trees as chopping down little Fluttershys. 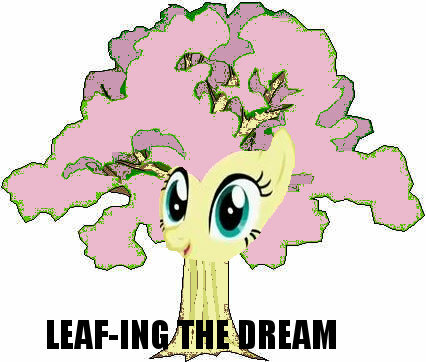 After all, as any My Little Pony fan knows, Fluttershy has expressed her delight at the idea of being a tree. And who in the world could possibly have the heart to bulldoze someone like Fluttershy? 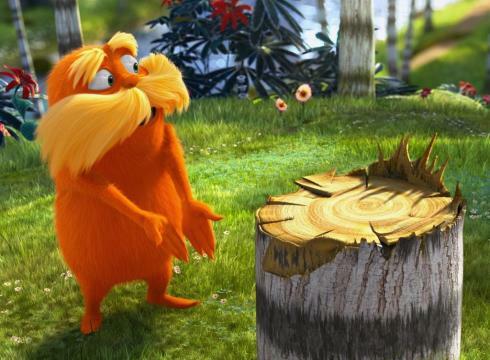 And that’s what the last song in The Lorax, “Let It Grow”, is about: not that using trees is necessarily a bad thing–we need things from trees, like pencils, etc.–but if you’re going to take, you need to give back, and be conscious of not taking more than you need. I’d also like to just point out that I’ve read at the following link on OpEdNews that when Romney did an international tour to demonstrate his political prowess on foreign policy, he managed to insult Great Britain and a good chunk of the world’s population of Arabs and Muslims. After that, I’d honestly be shaking in my boots if Romney got elected, shaking in my boots waiting for another 9/11 to happen. Oh, and let’s not forget Romney’s remarks about telling 47% of Americans to go f@#& themselves. Next Post Romney Doesn’t Know the Meaning of Mandatory? But we also can’t afford more bailouts. We’ll never be able to get the U.S. out of debt if Obama gets back in again. How many more taxes will it take to pay off what he’s spent? That may be, but as far as the environment goes, Obama has more desire to make bettering the environment as a much bigger priority than Mitt Romney, and if we render the planet uninhabitable, what’s the point in providing for a future that will never be? Besides which if Romney is elected, the rich is just going to get richer, the poor poorer, until the whole thing explodes and collapses.